Breathing Bilaterally In Races - Harder Or Easier? ~ Feel For The Water! Advice & Tips to Improve Your Swimming. Home » » Breathing Bilaterally In Races - Harder Or Easier? It's interesting to take note that when you feel short of air it is not the lack of oxygen you are feeling but the build up of CO2. That's why it's key to exhale into the water whenever you swim to blow it out into the water - leaving you feeling much more relaxed with your breathing. This is a really timely article for me. I swam at the World Age Group Triathlon Championships in Edmonton this year and during the swim I had to stop swimming for a moment because I was very close to fainting. When I thought about it later I think it was due to the very high stroke rate (interesting that you say it is higher with a wetsuit) and the fact I was breathing 2-2. I know that I don't breath out effectively in the water so I suspect I was hyperventilating. I am definately going to work on my breathing with a view to racing with a 3-3 rate, or at least for as long as I am able. Thanks for the top tips! "For most swimmers breathing every three is about the right length of time to get rid of the CO2 from their system"
OK, I get this. I think the point here is that the CO2 build up doesn't cause discomfort within this period. "breathing every two just isn't long enough and causes an uncomfortable build-up in your lungs and bloodstream." This bit I find unconvincing. Can you substantiate it (with evidence?). I could equally argue that the shorter time between breaths means there's less opportunity for CO2 to build up in the lungs. I feel like this posts is a little less evidence based than your usual ones. Surely as it's easier to swim in a wetsuit because of the extra buoyancy you end up just going faster for the same oxygen consumption? What you're suggesting is a bit like saying to a cyclist about to start a race, now you've got a better bike you can take it easy. I'm sure the point you're going to make is that the difference is you use your legs less in a wetsuit but surely again most triathletes/ distance swimmers continue to use a two beat kick as they do in the pool - rather than not kicking at all? They just end up being higher in the water and therefore having less drag and going faster. I'd also be interested in seeing what the elites do in races? Generally breathe every 2 or every 3? Any stats? Also is there any evidence that you go in more of a straight line breathing every 3? Fully agree. Only, maybe, for tactical reasons it may be good to breathe only to one side at some point in the race, to have an eye on some opponents for a specific time. I am astonished that almost all swimmers in the pool breathe unilaterally during races (Phelps, etc.). Are they not bothered by the building up of CO2? Totally agree about how much easier it is to breathe bilaterally in a wetsuit than in a pool without. I normally warm up single sided in the pool and open water to get breathing relaxed. However, today in the pool, I decided to just go for bilateral and push through. It felt uncomfortable on the 3rd and 4th length but when I pushed through and stopped worrying about, I felt really comfortable. I think breathing bilaterally is more of a mental than a physical challenge and it's just about getting into the rhythm and not worrying about breathing. They say in scuba diving that you breathe more air when you try to conserve air by controlling your breathing. I suspect it's the same in swimming and you end up breathing inefficiently when you think too much about it. Although all said makes some sense, I can say for myself that I have much more powerful stroke breathing every 2 without any hyperventilating. Thus not so sure that breathing every 3 in a race environment is a good advice. If bilateral breathing is better why do the pros breathe unilaterally? Most pro pool swimmers, triathletes, marathon swimmers mostly breathe unilaterally from what I've seen and they tend to swim with a regularly irregular rhythm. Are amateur swimmers to accept this technique is too difficult? I've tried breathing unilaterally but it didn't work well at all - lop-sided stroke, swam off course etc. Is it only suitable for swimmers with exceptional fitness levels? Could this bilateral stroke in a race make me faster is what I would like to know? If so I will try it. ...like we say, the most important thing here is that you have the ability to breathe equally comfortably to both sides and know if and when you should switch to one side over another. A further comment. After reading your book and various blogs I switched to breathing bilaterally (every 3). Just as you predicted it took me about 6 sessions for it to feel completely normal. I then swam all my practise sessions breathing every 3. About 8 weeks ago in response to another of your posts I started including the red mist set in my weekly routine. I have found that the only way I can maintain the pace required is to breathe every 2. It's fine on the first 4 or so 400m to breathe every 3 but after that I've just naturally found that I had needed the extra oxygen. It's the same in races in a wetsuit - though I might start off every 3 I end up every 2. The extra exertion has an oxygen cost. But now the great thing is that I can swap sides and breathe equally happily on either side. I can see the argument that you might swim straighter if you breathe every 3 and that time gain might well outweigh the loss in speed but surely the answer is to learn to breathe every 2 and swim in a straight line and get the best of both worlds? Or better still find someone to draft behind who swims in a straight line whilst you breathe every 2? Hi, if being more buoyant is good (eg with a wet suit, as it lift the swimmer up a bit and reduces drag (i've heard wet suits increase speed by about 10%), then if you take a deep breath you'll be more buoyant. Unfortunately you cant take one deep breath then swin 800 meters without breathing out then in. So if you are breathing every three strokes(ie bilaterally) then if you take a big breath and after three strokes breath in again you have to have breathed out. You could breath out evenly or could you hold that breath for one of even two strokes then forcefully breath out before the breath out. If you did the latter then on average over the course of teh swim you would have more air in your longs and be more buoyant. So if you take a breath hold then force out quick would you go faster than breathing in then evenly breathing out? Paul, I read your book, seen the videos, I have increased my rate of strokes and moved to bilateral ... in a competition and speed shots, I realized I was swimming was bilateral ... natural ... regarding the use of CO2, I noticed the difference too ... unilateral breathing, the lungs and fills several times faster, because it is every 2 laps and saw that there was not time to release all the CO2 and then breathe because we are now in + fast ... training gives time to release the CO2 and breathe when it is unilateral ... Thanks! @Inflexible Ankles - yes, you're quite right - learning to breathe equally well to both sides is very important. For that very reason we do a lot of breathing purely to the least favourite side in our squads as well. @Steve Bright - the advantage of the buoyancy created by the wetsuit and / or pull buoy is that these lift the legs and stop them dragging. For ~70% of swimmers this is a concern. Whilst holding your breath DOES add more buoyancy, it only adds it to the chest region and actually exacerbates low sinking legs at the back. For this reason alone, holding onto your breath is NOT a good idea. Thanks Paul for the tips. Certainly helps for open water swim. Manage to to pun in practice bilateral breathing in my first 6.5km open water swim early this yr. When condition turns around whereby waves hitting on your face, you will appreciate ability to breath on the other less favorable side. I use 2-2-3-2-2 hopefully will be able to get used to 3-3 in future. Yes 3-2-3-2-3...is perfectly "acceptable" (let's face it, any breathing pattern so long as you're progressing forwards is "acceptable"!) - it gives you a nice balance and is still allowing you to practice on your least favourite side for times that you need it. as a Pro triathlete racing Ironman distance I'd always opt for 3-2-3-2 breathing pattern initially and settle into bilateral 3 for the majority of the race distance. Switching to unilateral noticeably decreases efficiency due to the amount of disruption head movement causes to the stroke. Breathing more frequently increases the swimmer's work rate, so training efficiently in bilateral patterns (3,5,7, 3-2-3 etc) really yields efficiency gains when you can be versatile and utilise a suitable breathing pattern relevant to the conditions on the day. 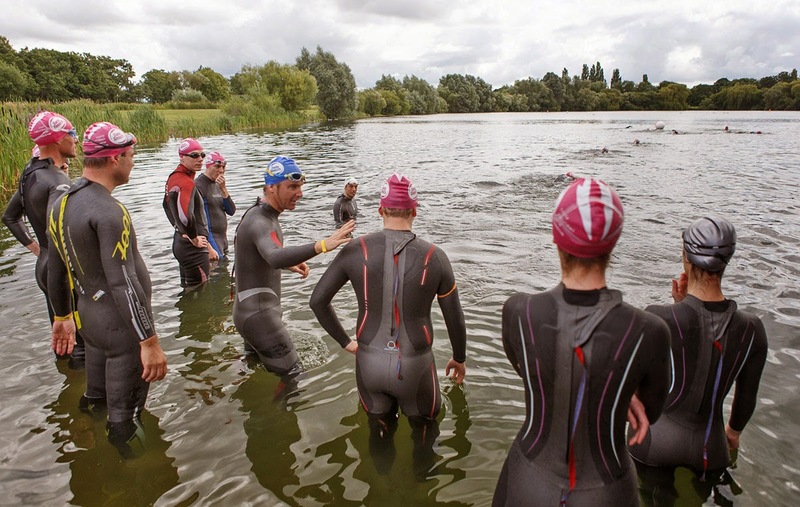 Occasionally for a short stretch of the swim, prevailing wind or breathing towards the swimmer you are drafting on the hip of may require breathing to one side (unilaterally). However it's worth observing an elite or Pro field over an entire race in order to see that they are versatile and can change it to whichever side or pattern as needed depending on sustainable effort, pace, conditions, tactics and strategy! Thanks Paul, I will be forwarding this blog article onto the group of athletes I coached this morning, half of whom were transitioning from unilateral to bilateral breathing. Perfect timing! Correction, I opt for 2-3-2-3 instead of 2-2-3-2-2. It helps for long distance swim. "the oxygen demands of distance swimming are lower than cycling or running because the you're using smaller muscle groups." I don't understand the above quote from the article as if you swim properly you should be using large muscle groups and ont smaller ones as you tire out too quickly. Indeed Greg, trying to make better use of the larger pectoral and "lat" muscles in the freestyle stroke over the relatively weak shoulder muscles (though of course these will always still be used!) is a good thing to aim for. Relative to the larger muscles of the hips, thighs and lower limbs though, these muscles as a group would still be considered "small". 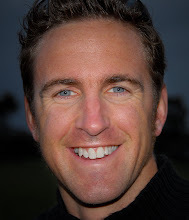 @Hugo, you might like to see this clip of arguably one of the world's best and most versatile ever triathlon swimmers (now retired) Craig Walton, seamlessly swapping breathing sides as required and all at 88spm - for a big unit, that's really going for it! I must admit I really struggled with bilateral breathing every 3 strokes and would frequently have to grab another breath on one side. No matter how hard I tried to breathe out during the stroke I still struggled. And I really worked hard on it! I recently tried 2-3-2 bilateral breathing, just for something to do, and experienced somewhat of a revelation. It keeps me nice and straight and I'm never out of breath. As an aside I've actually found it's better for stroke development as well because you get to focus on exactly the same stroke cycle in secession before swapping to the other side i.e. when breathing every stroke you don't get a chance to fine tune, say, your right-breathing stroke until after you have breathed left (this probably makes no sense to anyone but me). Anyway, works for me! I also forgot to mention how good this blog and Swim Smooth are. If it wasn't for Paul and his alter ego Mr Smooth I'd still be swimming unilaterally in circles and about half as slow with a stroke rate of around 50! *BLUSH* thanks Stu! Well done with cracking the bilateral code!! Thanks for this article! I have always asked my swimming Coach: Why do I have to breathe every 3 strokes? I feel completely comfortable with bilateral breathing now, but on my last triathlon I found myself breathing to one side only and hyperventilating for the first 5 minutes of the race. Shortly after (when I realized I had a long way to go) I was able to relax, focus on my technique and breathe every 3 strokes for the rest of the course. 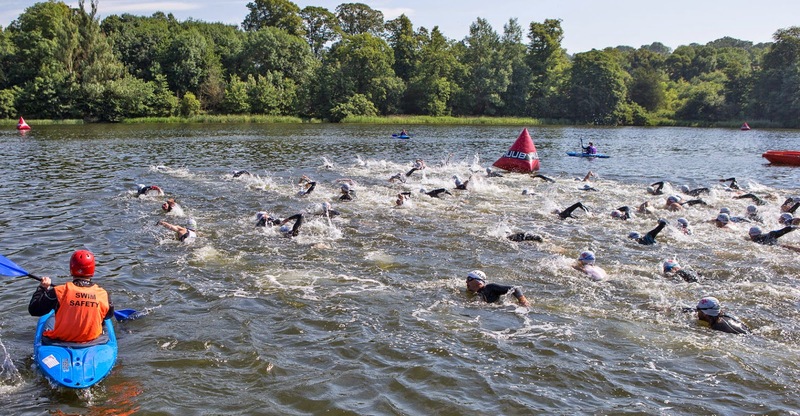 There are many situations that open water swimmers find in races: Tide (Sometimes you are trying to breathe and waves won't let you so you need to keep breathing on the same side (opposite to waves); or other swimmers might be splashing water on your face while you breathe, and anxiety (probably what happened to me on my last triathlon swim). I think that we need to use our own criteria depending on the situation, but definitely bilateral swimming is better for all the reasons you mention on your article. Thanks Cancun- couldn't agree more!